Today I have a picture book about poetry, which counts for Poetry Friday, I believe. bend, flow, gurgle, and rush. white, round, silver, and bright. The river gurgles ’round the bend. It rushes like the breeze. The sun is a silver bonnet. The stones are its flowers. You’ll have to keep reading the book to find where the moon words fit in. Poetry Friday round-up is hosted today at Carol’s Corner. Wow. Did you redesign your blog? It looks great. Man. I need to redesign MY blog now! 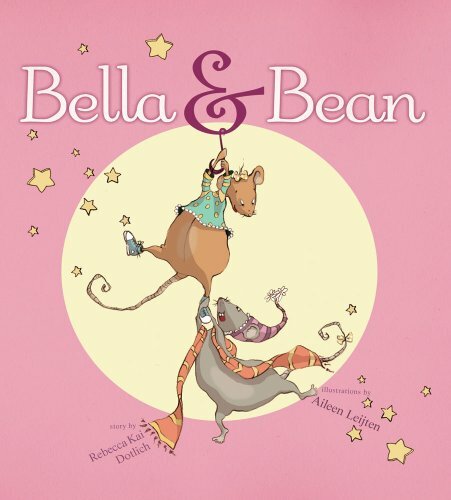 I love Bella and Bean-what a great choice for Poetry Friday. What a delightful book! I will have to look for it. I love your blog design too. Cute graffiti scribbles!